Here is another fun post I am sharing over at Hello, Wonderful. 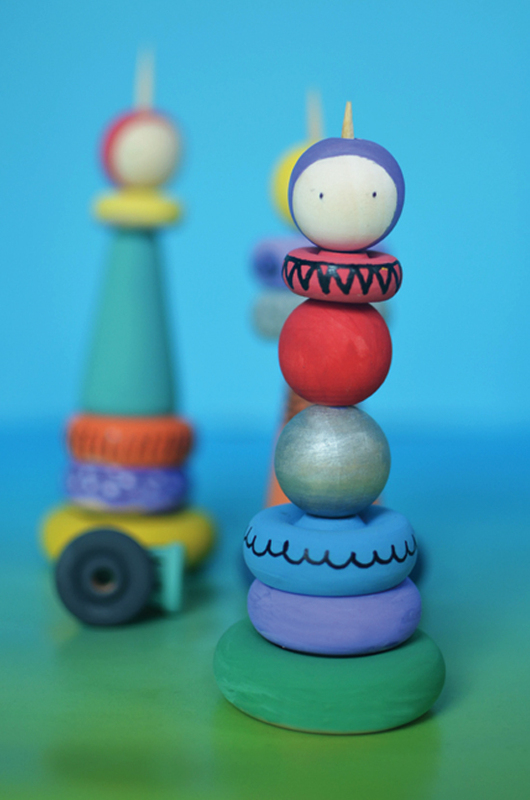 Just get together a collection wooden beads, wheels and spools and paint to make these pretty stacking toys. 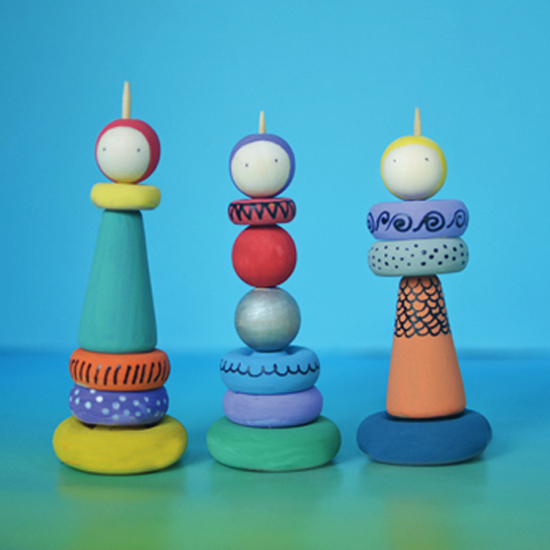 Once all the elements are created, then there are endless combinations to make these cute little dolls. I think these would make a fun rainy summer day activity.